When I first started my blog back in 2014 Bodhi and Birch were one of the first beauty companies to be kind enough to send me out products for review even though my site was super new and I will admit pretty rubbish ha! I’m so happy to say that the wonderful founder Elijah Choo recently sent me out quite a few products from his Superfood Series but I’m going to review them separately because they’re all so amazing that I feel they need their own individual spotlight. Today I’ll be sharing with you my Avo Cleansing Balm review but there’s also the Tomato Seed Cleansing Oil and Lemon Water Hydrosol Tonic to come shortly. Before I do so though let’s take a little look at what Bodhi and Birch are all about and how Elijah came to create such a wonderful company. Bodhi and Birch sell a fantastic selection luxury natural and organic skincare products that are packed with aromatherapeutic and botanical ingredients. Bodhi is actually Sanskrit for ‘enlightenment’ and when applied to Bodhi and Birch’s range we can take this as meaning ‘to awaken’. All of Bodhi’s products are 100% natural, cruelty-free, and vegan – with the exception of the Rosa Rosa Skincare range which contains lactoperoxidase. 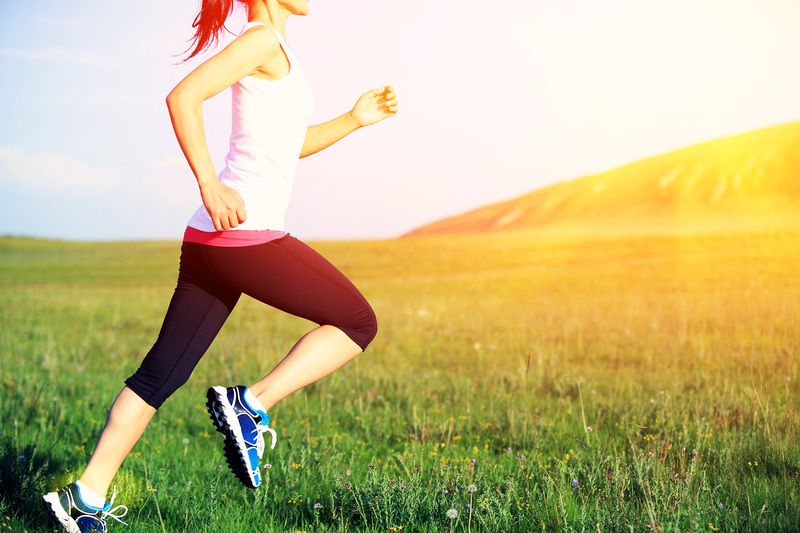 This ingredient is often derived from milk whey enzymes. Avo Bao is a super creamy and emulsifying balm cleanser that’s jam-packed with nutrient-rich superfoods – avocado and baobab nourish, cleanse, and boost the skin’s radiance whilst plant sterols, phytonutrients, and vitamins protect against free radical damage helping the skin to age gracefully. After working for 15 years in the advertising and marketing industry Elijah Choo decided to make a change. He had grown up in a Chinese household, although he had lived in Singapore and frequented Malaysia, where he learned the importance of balancing your chi (energy). Choo’s interest in this inner chi began to branch out into other areas and he took a great interest in traditional remedies, specifically how they could benefit the skin. It was through this journey that Bodhi and Birch was born. Avo Bao is a super creamy and emulsifying balm cleanser that’s jam-packed with nutrient-rich superfoods – avocado and baobab nourish, cleanse, and boost the skin’s radiance whilst plant sterols, phytonutrients, and vitamins protect against free radical damage helping the skin to age gracefully. Being a foodie when I hear Bao I instantly think of those gorgeously yummy Chinese bread buns but the name Bao in Chinese actually has several meanings such as; treasure, jewel, precious, rare, praise, and honour. I can’t help but think that Choo came up with the name due to the precious ingredients contained within the balm. When I opened the lid I was instantly smitten with the beautiful jade green balm. It looked luxurious and it really reminded me of those ornate archways in London’s Chinatown. Ingredients: °Persea Gratissima (Avocado) Oil, °Adansonia Digitata (Baobab) Oil, °Cannabis Sativa (Hemp) Seed Oil, °Prunus Domestica (Plum) Kernel Oil, °Theobroma Cacao (Cacao) Butter, °Butyrospermum Parkii (Shea) Butter, °Glycerin, °Ricinus Communis (Castor) Seed Oil, °Cocos Nucifera (Virgin Coconut) Oil, Shorea Stenoptera (Illipe) Butter, *Prunus Amygdalus Dulcis (Sweet Almond) Oil, *Coffea Arabica (Green Coffee) Seed Oil, Tocopherol (Vitamin E), Sucrose Laurate, °Adansonia Digitata (Baobab) Fruit Powder, °Citrus Aurantium Dulcis (Orange) Fruit Water, and °Spirulina Platensis (Spirulina) Algae Powder. Organic Avocado Oil – Avocado oil is high in the fatty acid oleic acid (omega-9) which is great at enhances the absorption of the product whilst replenishing the skin’s lost lipids helping to restore its elasticity. It’s also rich in vitamins A, E, and D which help to even out skin tone and keep the skin hydrated. Avocado oil is rich in phytosterols that boost collagen production and can also reduce photosensitivity protecting the skin from ageing in the sun. Avocado oil can also reduce inflammation. Organic Baobab Oil – Baobab oil is made by cold-pressing the seeds of the fruit. These seeds are rich in Omegas 3, 6 and 9, as well as rare essential fatty acids and Vitamins A, D, E and K. Much like avocado oil, baobab oil possesses anti-inflammatory properties and increases the production of collage to combat sun damage and repair the signs of skin ageing. It’s actually a pretty amazing cleanser, even when used on its own and doesn’t leave any greasy residue. Organic Hemp Seed Oil – Even in nutrition hemp oil is considered a perfectly balanced oil, but what I didn’t know (until now of course) is that it contains a ratio of omega 6 to omega 3 essential fatty acids that actually match our skin’s own lipids. Hemp oil is also rich in gamma-linolenic acid (GLA), oleic acid, and stearidonic acid which all help to soothe and strengthen skin making it great for people that suffer from skin conditions such as eczema and psoriasis. Hemp oil also contains generous amounts of the vitamins A and E, along with a number of minerals such as; calcium, magnesium, sulphur, potassium, phosphorus, iron, and zinc for super healthy skin. Organic Plum Kernel Oil – Now, this is something that I don’t think I have ever seen in a skincare product but it’s a super nourishing and aromatic oil that’s rich in oleic acid (60-80%), linoleic acid (15-25%), and vitamins B, B5 (beta-carotene), and E). It possesses similar properties to the above oils but it also contains beta sitosterols which occur naturally in many fruits, vegetables, nuts, and seeds. It has a similar makeup to cholesterol, which is actually naturally in our skin as well as inside our bodies. It has some pretty nifty anti-inflammatory properties and can help to soothe and moisturise. It’s also known to have an almond-like marzipan scent which I think comes through heavily in the balm. 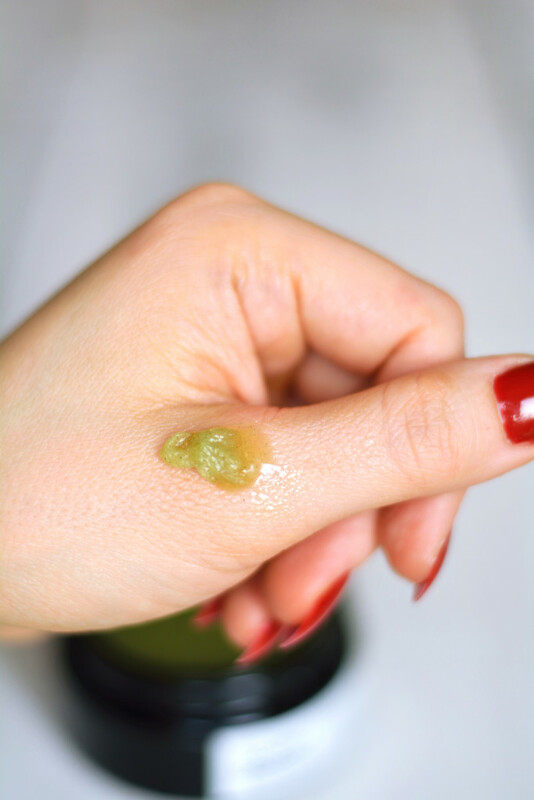 Green Coffee Oil – I used to be obsessed with drinking green coffee years ago but I had no idea how beneficial the cold pressed oil from raw coffee beans could be to the skin. Green coffee oil contains high levels of chlorogenic acid which is known to tighten and tone the skin temporarily. This gives the skin a natural facelift leaving skin smooth and lifted. The composition of essential fatty acids, phytosterols and vitamin E also scavenge fight off free radicals, protecting against skin damage and DNA degradation. If you’re over 30, slather this stuff on to your face for sure! Organic Baobab Powder – I like to add baobab powder to my smoothies but also to my clay masks. It’s super high in vitamin C which is known to boost the elasticity of the skin. Baobab also contains; calcium, magnesium, potassium, and B-complex vitamins which firm the skin and maintain the strength of our skin cell membranes. It’s also a great prebiotic making it naturally rich in powerful antioxidants to stave off the ageing process. Organic Spirulina Powder – Another amazing smoothie ingredient which I do often add to face masks when I need a little pep. 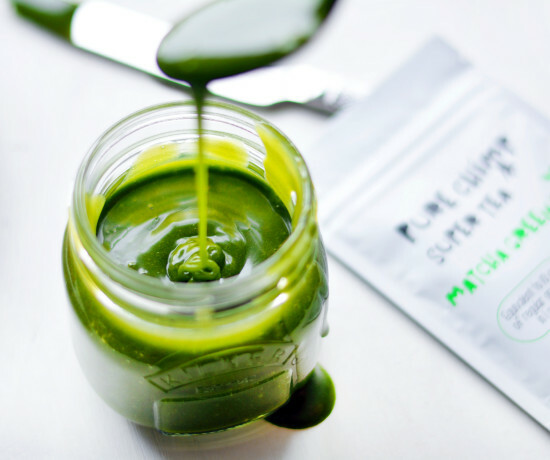 Spirulina is rich in phytonutrients and carotenoids as well as vitamins A, B-12, and E which all help to fight the ageing process, pep up tired-looking skin, increase skin elasticity and smoothe out fine lines. It’s practically all chlorophyll which is known to strengthen tissues and eliminate toxins for a clearer and more radiant complexion. So, now that I’ve given you some much-needed insight into what this balm should be capable of I’ll share with you my own personal experience. The balm instantly melts when it touches your skin, making it easy to massage into the skin. It is powerful enough to remove all traces of make-up and dirt meaning there’s no need for a second cleanse which I have found that I have to do with other balms in the past. Because it melts easily I’d recommend storing it in the fridge in the summer – Bodhi and Birch do warn on their site that it’s best stored below 25˚C for the same reason. Currently, with this icy British weather, this isn’t an issue for me. It left my skin feeling silky smooth and definitely looking a lot more radiant. With it being so cold recently I’ve found myself wanting to use this over my other cleansers because it feels so nourishing and doesn’t leave your face feeling greasy at all, just plump, soft, and supple. The most astonishing thing about this balm is that it is fully essential oil free (as with the rest of the Superfoods Series) but due to the naturally aromatic blend of ingredients, it possesses a really unique and lasting scent. 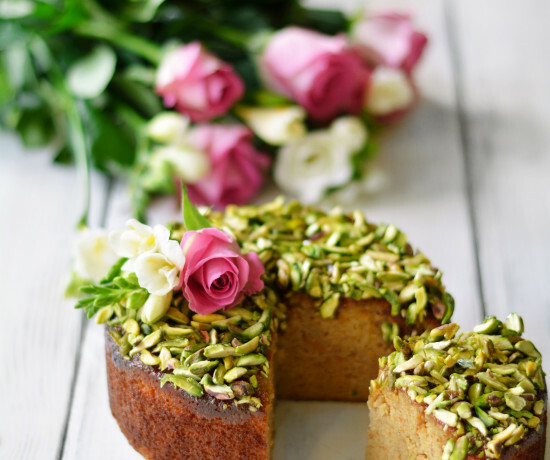 I found it to smell almost sweet and edible, I really picked up on the almond scent from the plum kernel oil and rich chocolate notes of cacao butter but then the sweet citrus scents of baobab and orange hit to give a little fresh tang. It’s an uplifting yet gourmand scent and for me, I found that the scent made for a really enjoyable and ritualistic experience and that it lingered even after washing off. So, is this pretty little pot of balm worth the price tag? Well, personally I don’t ever feel that you can’t get great results with a singular cleansing oil but I can’t dispute that a well-formulated product with multiple ingredients doesn’t yield even greater results. Of course, it does! Elijah formulates every product himself, he doesn’t bring anyone else in to do this, he takes his time and his love, attention to detail, and knowledge really shine through from the moment you open the jar. I feel like buying this is similar to buying artisan chocolate rather than a mainstream bar on your supermarket shelf. It’s sort of like having a home cooked meal that fills you with joy and nourishment rather than tasting just generically good. For me, skincare is a ritual – the scents, textures, sensations – they all add to the experience and to my overall wellbeing. The ingredients are worth a fair whack and when you take into account that this truly is an artisan product then the price tag seems just. I’d highly recommend this product to anybody in their 30s because it’s nourishing and packed with anti-ageing ingredients. I find that after washing with the balm my fine lines aren’t as visible and I can definitely battle the elements during school runs and dog walks without getting dry or flaky. Which, I have to say is pretty hard to do in cold weather. If you have the budget then go for it. Buy this! If you can’t afford it don’t worry too much, just buying a couple of inexpensive cold-pressed organic oils suited to your skin type and enjoy the experience of cleansing your face naturally rather than toxically. It can yield fairly similar results if you learn the proper massaging and cleansing techniques and won’t damage your skin. 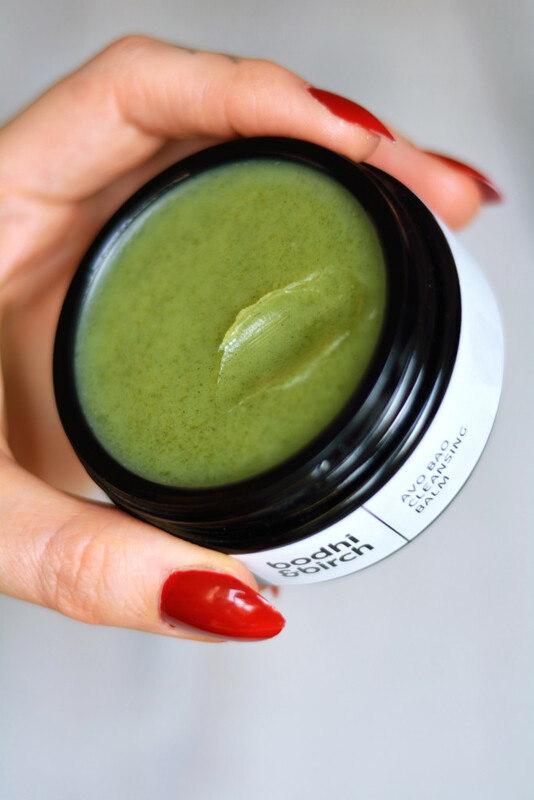 Whether you’re into luxury natural skincare or are transitioning over to the non-toxic world of beauty then Bodhi and Birch’s Avo Bao Cleansing Balm will swiftly become a firm favourite. 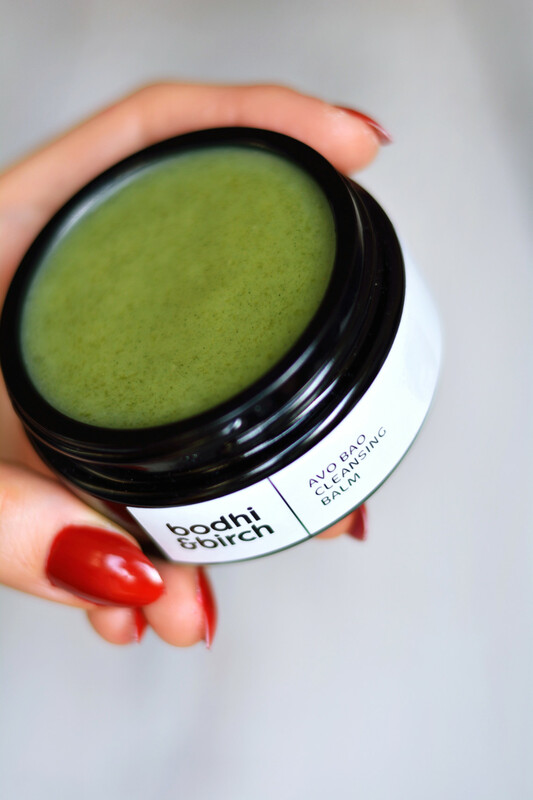 If you’d like to buy the Bodhi and Birch Avo Bao Cleansing Balm you can grab it direct from their website for £55.00. Have you tried Bodhi and Birch’s products yet? Drop me a comment using the comments box below. For more clean beauty posts click here, oh and don’t forget to sign up to my newsletter! DISCLAIMER: Please note that this is a sponsored post. I was sent products from Bodhi and Birch for my own personal use and in order to write a review if I wished. This was purely in exchange for products and not for monetary payment. All opinions are my own and 100% honest. If you buy anything from the Bodhi and Birch website I will not be at any personal gain. If you’d like to know more, feel free to contact me.